Defend your building and other property assets from the greatest of all enemies – water. Whether it’s below grade or above, a foundation or access tunnel, new construction or a retrofit – GSM Roofing can help. Water will expose poor workmanship over time and can wreak havoc on membranes and blocks in a freeze/thaw cycle. 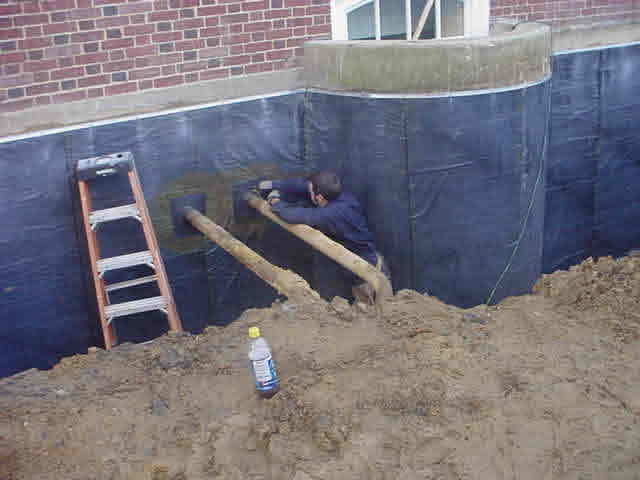 Our skilled team understands the intricacies of today’s waterproofing systems – from hot fluid applied and single ply to bentonite and self-adhered. This means you’ll get a waterproofing solution that perfectly matches your needs and keeps you and your building dry and happy. Ready to talk about your next roof waterproofing project?